When disaster strikes, quick action becomes the first order of business toward recovery. 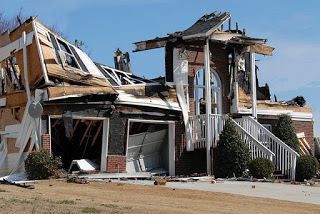 For your safety and to minimize further property damage, you need a team of compassionate professionals who understand how to put you on the path toward normalcy. You need someone who can help you and be sure your family’s needs are met. Kelley Construction Contractors, Inc. is your trusted general contractor in the Peoria, Pekin, and Bloomington areas. work with your insurance company to relieve as much stress as possible.